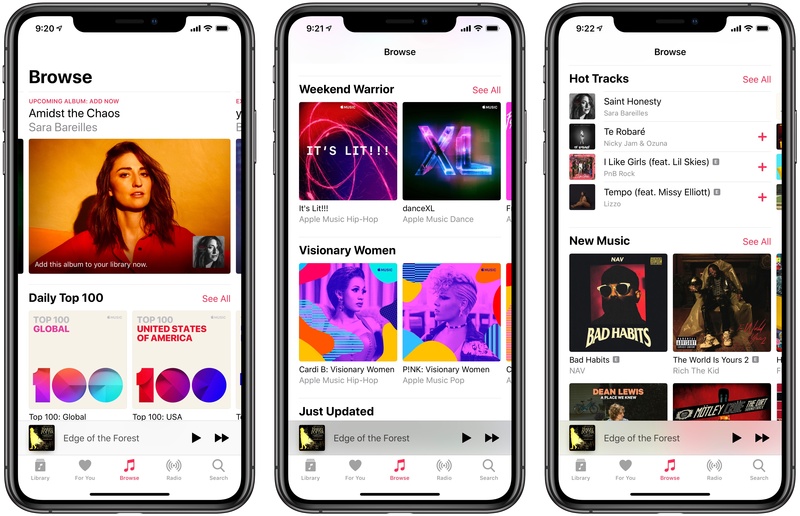 Posts tagged with "Apple Music"
Today Apple has rolled out an update to the Browse tab in Apple Music, which all users should see soon. The new Browse tab surfaces a lot more content up front without requiring tapping through other menus first; it does, however, retain the same basic design language and feel as before. In a lengthy response, Apple has addressed many of the allegations leveled against it by Spotify earlier this week. As we reported, Spotify has filed a complaint with the European Commission alleging that Apple’s treatment of the music streaming service is unfair and anti-competitive. Today, Apple fired back with a response to many of Spotify’s contentions. Apple also takes issue with what it characterizes as Spotify’s desire for the benefits of a free app without being free. Long gone are the days when apps were either free or paid. Spotify, like many other apps, offers a free music streaming tier. Spotify doesn’t pay Apple anything for those free users or users that sign up for streaming through other channels like mobile carriers. For Spotify’s paid subscribers, Apple receives 30% in year one and 15% after that for access to its platform and payment system, which the company says Spotify is unfairly trying to sidestep. Finally, Apple claims that Spotify’s complaints against it are just one facet of a pattern of actions that are in Spotify’s economic interests but are damaging to musicians and the music industry. As evidence of this, Apple raises recent moves by Spotify against songwriters after the US Copyright Royalty Board required Spotify to increase royalty payments. I don’t know whether Apple’s actions constitute unfair and anti-competitive behavior under EU law. Separate and apart from the legalities of the situation though, Spotify’s complaints have struck a chord because they come at a time when new online app stores are taking a significantly smaller cut of revenue. Spotify has other legitimate complaints, like its frustrations with App Review, but what seems to really be driving the dispute is how much Apple charges for access to the App Store and its payment system. Now more than ever, Apple’s 30% cut looks like a bad deal even when that cut is reduced to 15% for the second year of subscriptions. What makes this dispute unique is that Spotify competes with Apple Music and is big enough to grab public attention and raise the stakes for Apple by getting European regulators involved. Usually, this sort of fight would play out privately, but by making their disagreement very public and involving regulators, Spotify may have taken the outcome out of its and Apple’s control. 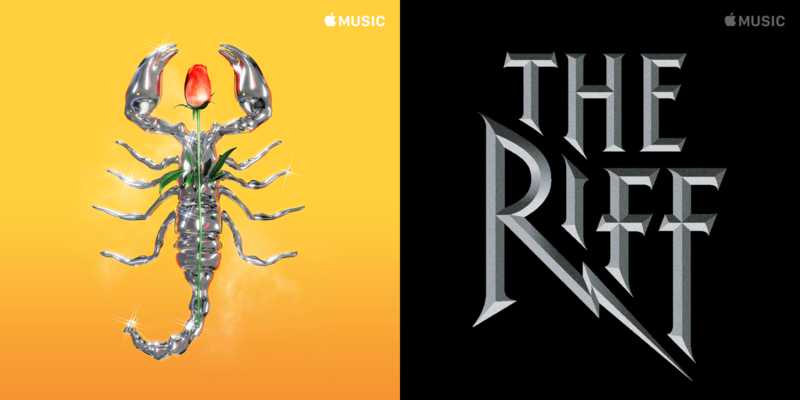 If you’re an Apple Music subscriber, you’re probably familiar with its playlist artwork styles. Some work well to tie together collections of related playlists like Decades, Essentials, and Deep Cuts. The trouble is though, that has also bred a certain sameness across Apple Music’s many playlists. That’s beginning to change as Apple rolls out custom playlist artwork from high-profile music industry artists. “connect more directly with the communities and the culture for which they were intended,” says Rachel Newman, Apple’s global director of editorial. Before now, Apple’s playlists had a uniform presentation that didn’t necessarily speak to the music. “In many ways, it’s a visual representation of the music that you will find inside that playlist,” said Newman. Newman told Stephen that the company is rolling out the new artwork over the next few months and intends to redesign ‘many thousands’ of playlists. “Giving a shape and an image to music is never an easy process,” he wrote. “My style and my creative process have been always characterised by a significant presence of symbology and very powerful images, in addition to a very minimal and simple design. I think this project was somehow a bit different, but it also gave me the chance to create a real manifesto of my style. The new playlist art published so far is excellent. There’s a wide range of styles that suit the music showcased in each playlist. By drawing on a wide range of talent from the music industry, the company should be able to imbue each playlist with a personality that was sometimes lacking in the past. Soor, a third-party client for Apple Music created by indie developer Tanmay Sonawane, is based upon a fascinating premise: unlike other standalone music players for iPhone, Soor works with Apple's native MusicKit API, enabling direct integration with Apple Music; unlike Apple's Music app though, Soor prioritizes one-handed gestures, user customization, and a single-page design that packs multiple sections into one view. In theory, Soor should be the optimal blend of two different worlds – a third-party music player with its own aesthetic and stylistic choices combined with Apple Music data and the service's vast streaming catalog. 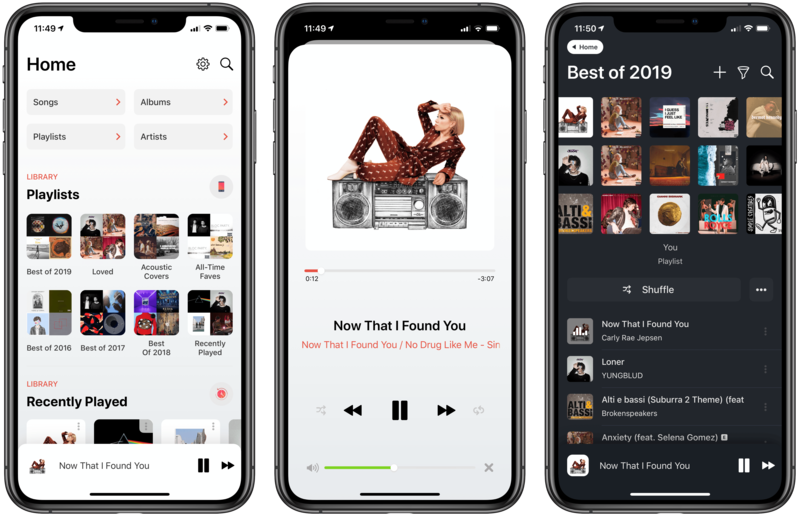 In practice, while Soor has some solid ideas I'd like to see in Apple Music too, and despite its intriguing visual design, the app doesn't qualify as a complete replacement for the Music app on iPhone. [Apple Music's Classical] section spans centuries, including all of the notable composers like Mozart (born 1756, died 1791), Maurice Ravel (b. 1875, d. 1937), and John Cage (b. 1912, d. 1992), but this grouping is frustrating for classical music aficionados, given how little these musicians have in common among one another...Rumiz: "The sorting of recordings follows the rules of pop & rock genre. For classical music this doesn’t fit at all, because you very often want to compare different recordings of the same pieces by the same composer with different soloists, orchestras and conductors." Charles says that one aspect of classical music that's mixed up in the shuffle is the listener's interest in a piece's composer versus its performer. While some artists, like Leonard Bernstein, both compose and perform their music, Charles questions how Apple Music determines the best recording for a piece of music: "Is a recording more significant because it is composed by Bach, or is it more significant because it is performed by Glenn Gould?" Classical music also can be extremely difficult to request of Siri due to the unique names for many classical tracks, and there are several other issues highlighted in the article, all of which appear like legitimate hindrances to a great classical music experience on Apple's platform. "This is a completely untapped market," Charles tells me. "One streaming service could completely own the classical music audience if it wanted to." In advance of 2019's Grammy awards, airing this Sunday, February 10, Apple has shared three new Apple Music ads on its YouTube channel. Each minute-long ad is a music video wherein well known artists are represented in Memoji form. One video features Ariana Grande, another Khalid, and the final one Florida Georgia Line. 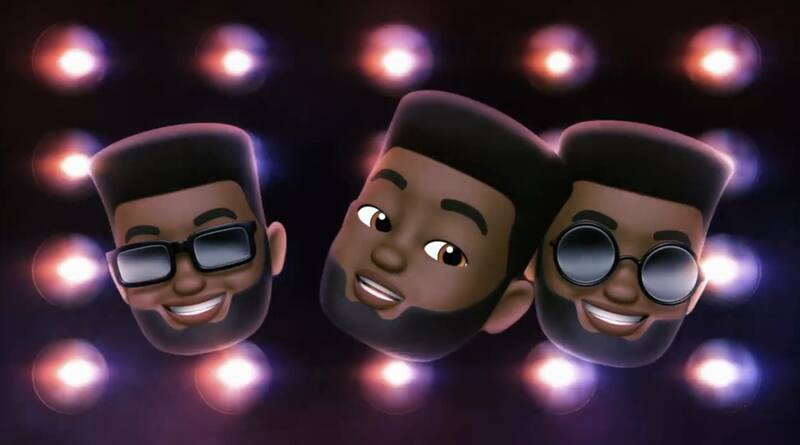 Last year Apple shared music videos featuring Animoji ahead of the Grammys, so this year's decision to use Memoji is a natural evolution following iOS 12's debut in September. Although Animoji Karaoke hasn't caught on much in broader culture despite commercials like these, it's still fun seeing Apple highlight one of iOS' more whimsical features alongside its music service.